US – At the end of July Steve Crosson received two awards for the best producing Hubbard Classic and Hubbard H1 Parent Stock flocks depleted last year in the US. 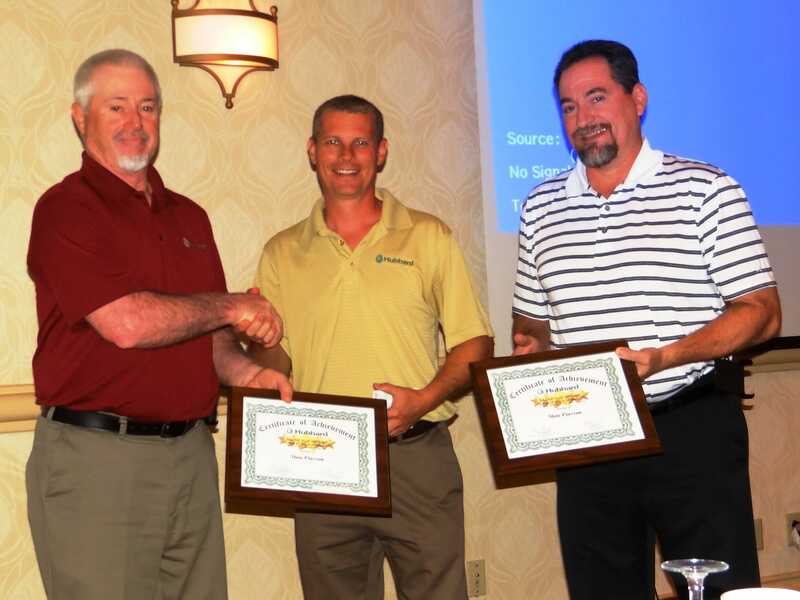 Steve’s excellent achievements were celebrated in Chattanooga (TN) during, the largest ever, Hubbard LLC Sales and Technical Service Meeting covering the US and Latin America. Sean Holcombe (Sales and Technical Service Director for US & Canada) and Josh Cox (Technical Services Manager for US and Canada) presented Steve Crosson (Western Region Technical Services Representative) with Certificates of Achievement for the best producing Hubbard Classic and Hubbard H1 Parent Stock flocks in the US. Steve Crosson receives the two awards. From left to right: Steve Crosson, Josh Cox and Sean Holcombe. At 65 weeks of age the Hubbard Classic flock produced 193.3 total eggs per hen housed and 188.3 hatching eggs per hen housed with only 8.1 per cent female mortality during the production period. This flock easily surpassed the performance standards for the Classic of 186.5 total eggs and 178.8 hatching eggs per hen housed at 65 weeks of age. The Hubbard H1 flock produced till 65 weeks of age 187.1 total eggs per hen housed and 182.5 hatching eggs per hen housed with only 6.8 per cent female mortality during the production period. This flock also easily surpassed the performance standards for the H1 of 176.1 total eggs and 168.87 hatching eggs per hen housed. Steve’s technical expertise, exceptional work ethic and diligent follow up at customer level allow his customers in the region to not only reach the performance standards for the Hubbard Classic and Hubbard H1 but to easily surpass those standards, increasing the value of Hubbard products to his customers.